From the old French verb « alever » ("to raise"), derived from the Latin verb « allevare » ("to lift", "to lighten") which took the meaning of "to raise" in Italian. In order to maintain our sanitary and genetic quality, we select our broodstock fish exclusively on the Gravelines site, under the control of veterinarians and geneticists from European research institutes. In a specific room equipped with a filtered and thermoregulated water circuit, 25 to 35 million eggs can be incubated. All eggs are selected, disinfected and identified before incubation. These techniques allow us to commercialize 100 million larvae a year all over Europe. 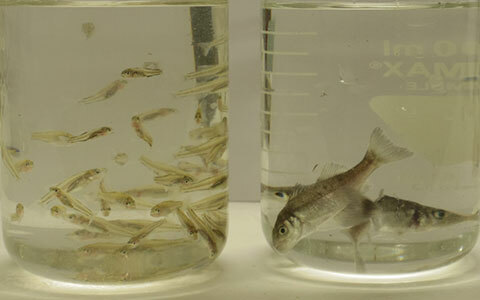 The hatched larvae are transferred to one of two larval rearing units consisting of 12 to 6 pools. These units operate alternately in order to empty and clean the pools after the transfer of the larvae to the weaning unit. The weaning unit consists of 18 basins. 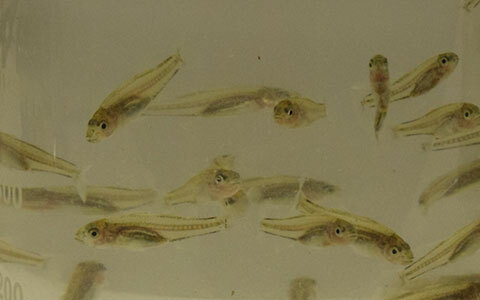 40 days after hatching, the larvae are transferred there and are weaned in about two weeks. The 3 nursery units are used after weaning. From 60 days up to 150 days, fingerlings are sorted regularly to avoid cannibalism, allowing the preparation of homogeneous batches for deliveries. 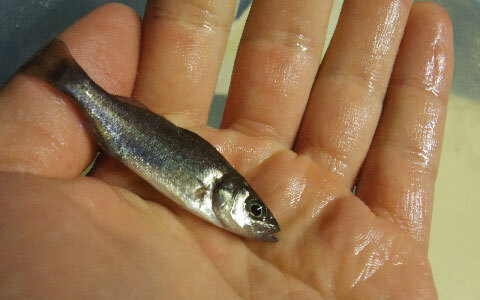 Fingerlings are vaccinated and checked before each expedition. During the year, each fingerlings cycle is numbered according to the chronological order of release, the origin of the greenhouse, and the year of marketing. We thus ensure the complete traceability of the fish, from broodstock to sale. According to the needs of our customers and the number of tanks in which the fingerlings will be unloaded, we can determine their exact quantity and weight without mixing the batches. We work with serious and reliable professional carriers and have trucks equipped with 6, 8, 10 or 12 tanks with oxygen reserve and air suppressors, able to make long-distance deliveries with 6 or 7 days of transport.